When envisioning those who are heavily involved in the marijuana industry, we typically picture people commonly associated with marijuana culture as a whole. You know, the rapper, the artist, the athlete, the quintessential stoner, your grandma — the list goes on. But, there is one group in particular you’d never expect to be capitalizing off cannabis from a monetary standpoint, let alone smoke a joint. That’s right; we’re talking about the dedicated, religious community committed to living under impenetrable vows of obedience, poverty and chastity. 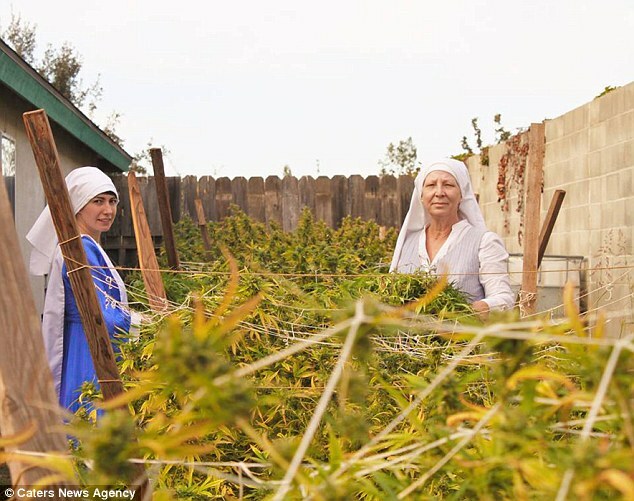 It turns out, there are actually two super brave nuns living out all of your marijuana-infused dreams. 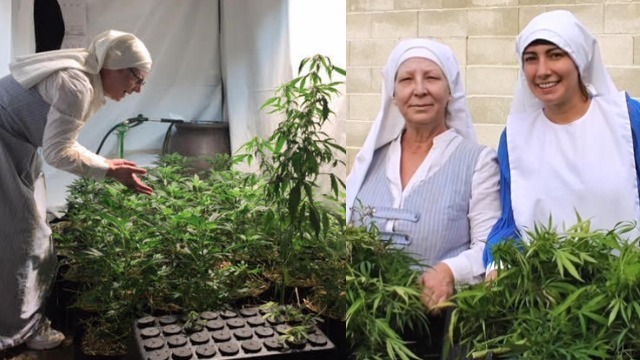 In a recent video uploaded to YouTube by The Denver Channel, we’re introduced to Sister Kate and Sister Darcy, two California-based nuns making headlines for their illegal, homegrown pot operation. Everything we’re doing is illegal. Those plants you just saw in my garage; they’re illegal. The making of the salves is illegal. I mean, they generate over $400,000 per year. Why wouldn’t they expand?! I’m scared. I’m nervous. I’m not confident… I guess I’m confident from the standpoint of right will win at the end. But, I don’t know how long that’s going to take.